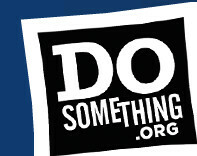 DoSomething.org believes you have the power to make a difference. It is their aim to inspire, support and celebrate a generation of doers: people who see the need to do something, believe in their ability to get it done, and then take action. Find the tools and resources for you to turn your ideas and energy into action. Use these Widgets to get started and Do Something!